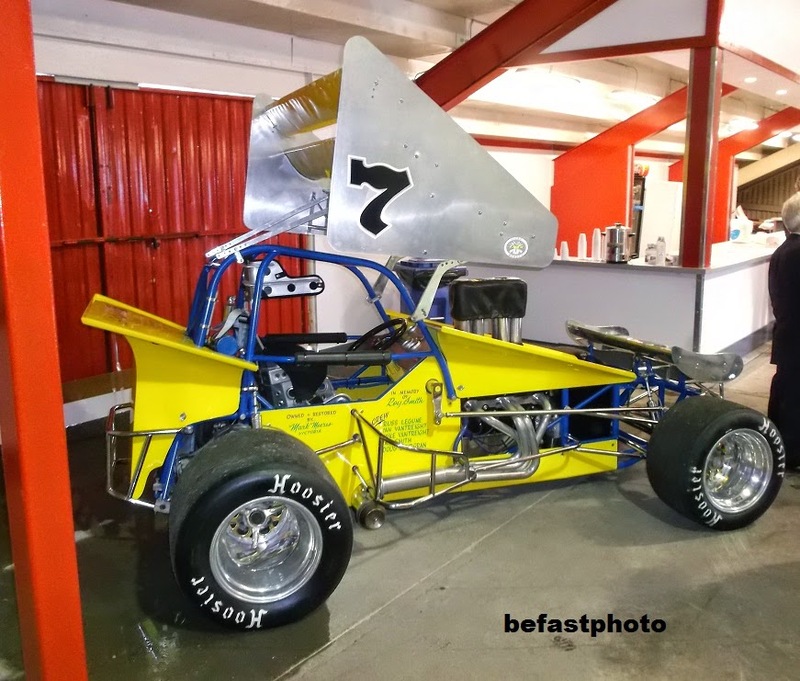 The week following the sad accident with Ronald Ainey racing continued. 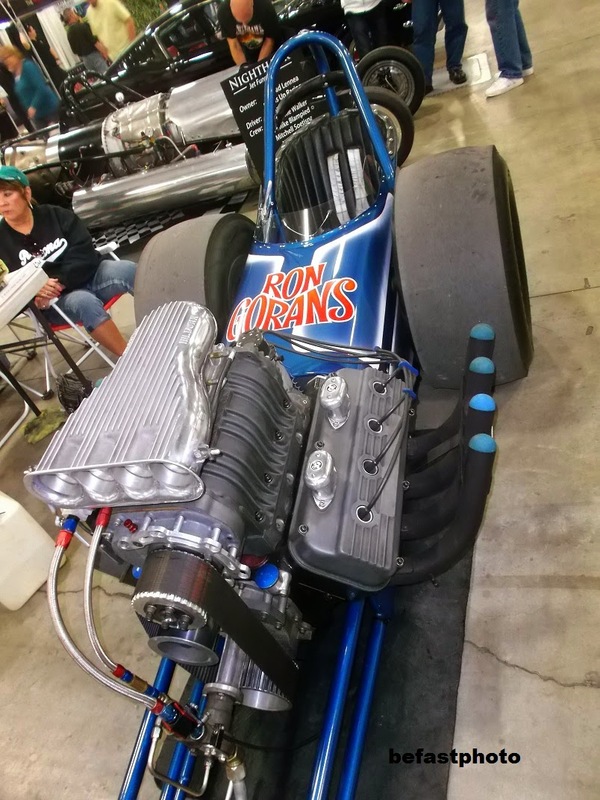 An announcement of a "benefit race" for the 15 year old was made as well. An unfortunate incident involved a young lad who suffered severe leg injuries when a car hit the outside fence. Big Cars. 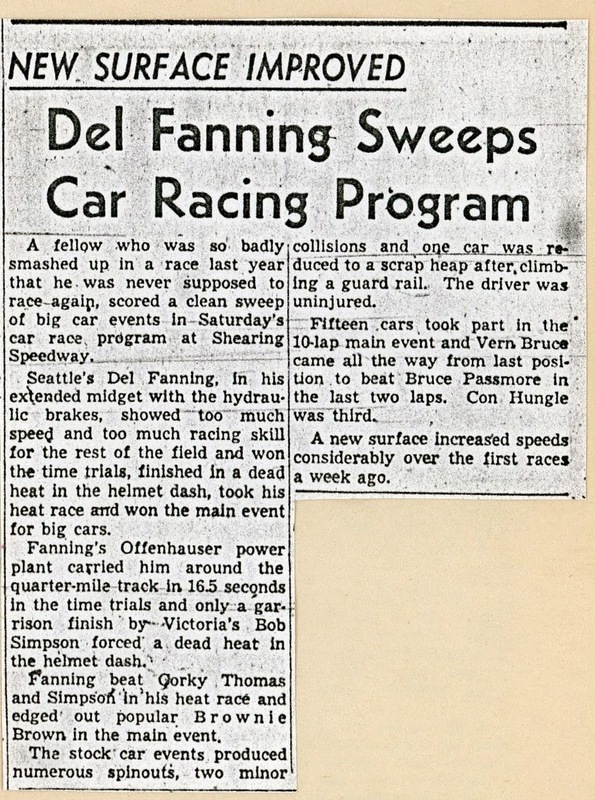 And Del Fanning swept the show. 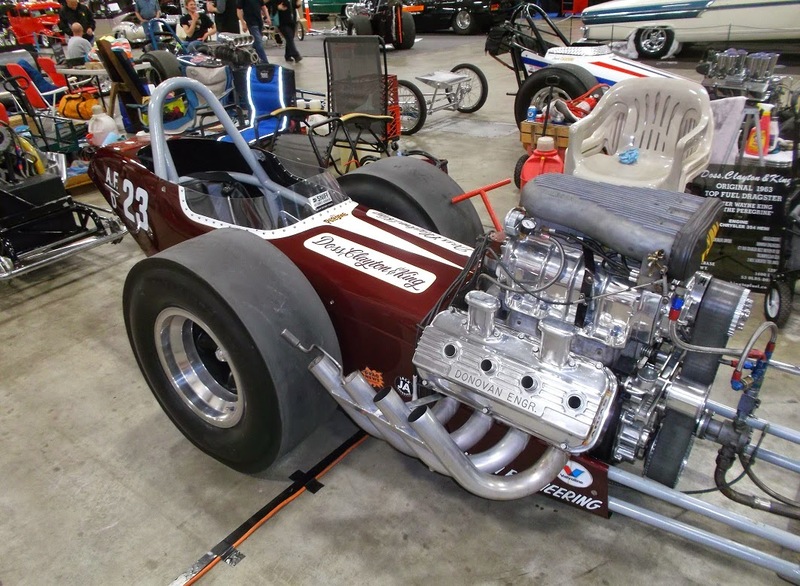 More of this Alley Oop racing story. Lots of action here. 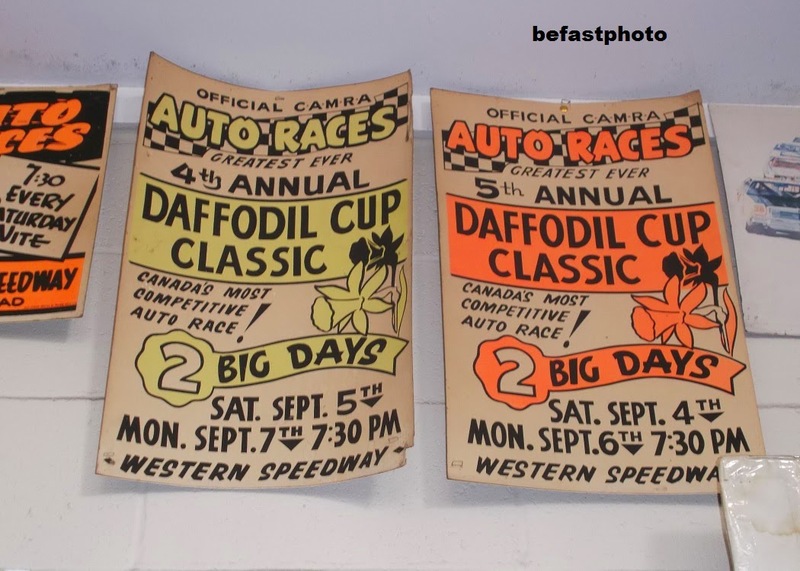 The racing got going at Shearing Speedway. 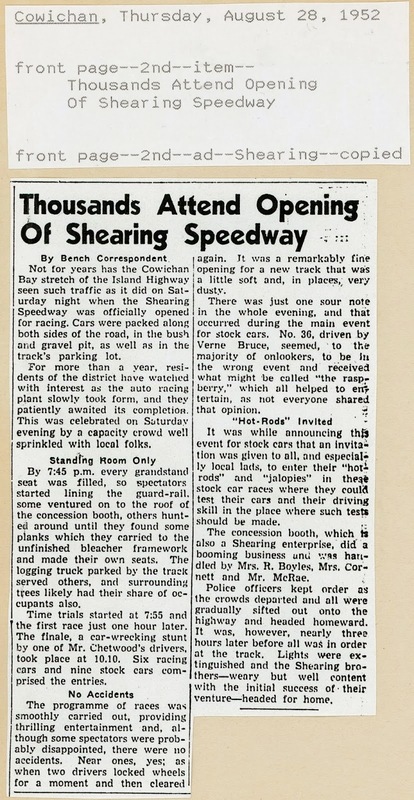 More clippings from Shearing Speedway as it got up and running. 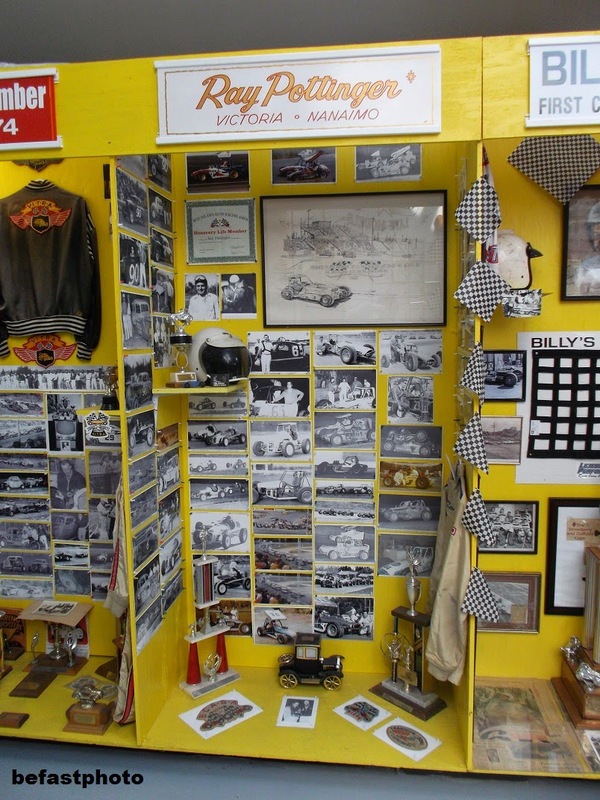 There had been a lull in racing on the Island after Langford Speedway shut down at the end of the 1950 season. 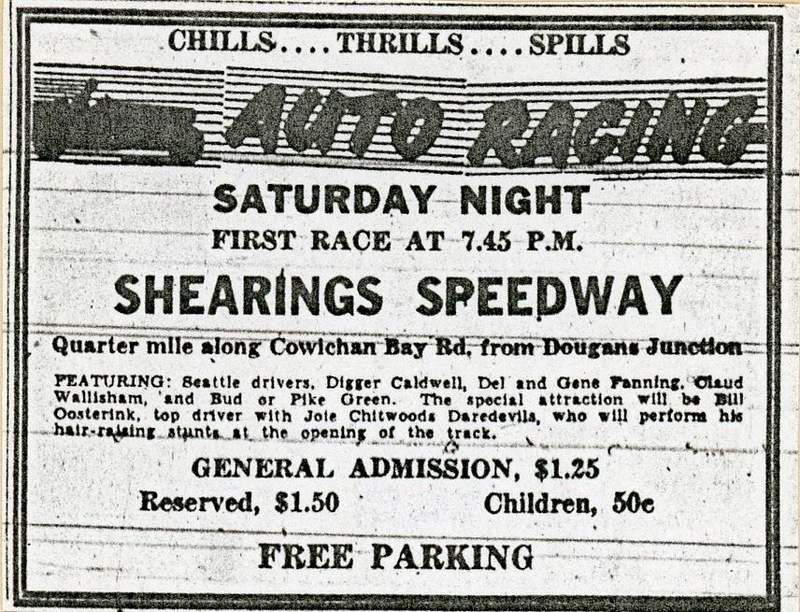 There was vocal opposition to a track in the Victoria area so the Shearing brothers took advantage and got a speedway built. 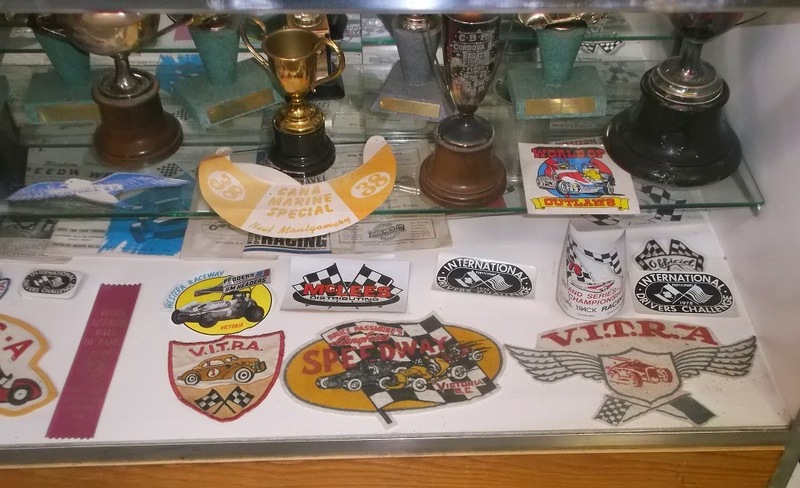 I've been asked to get some Shearing Speedway done for the Victoria Auto Racing Hall of Fame Museum. Guess I can post it here as well. 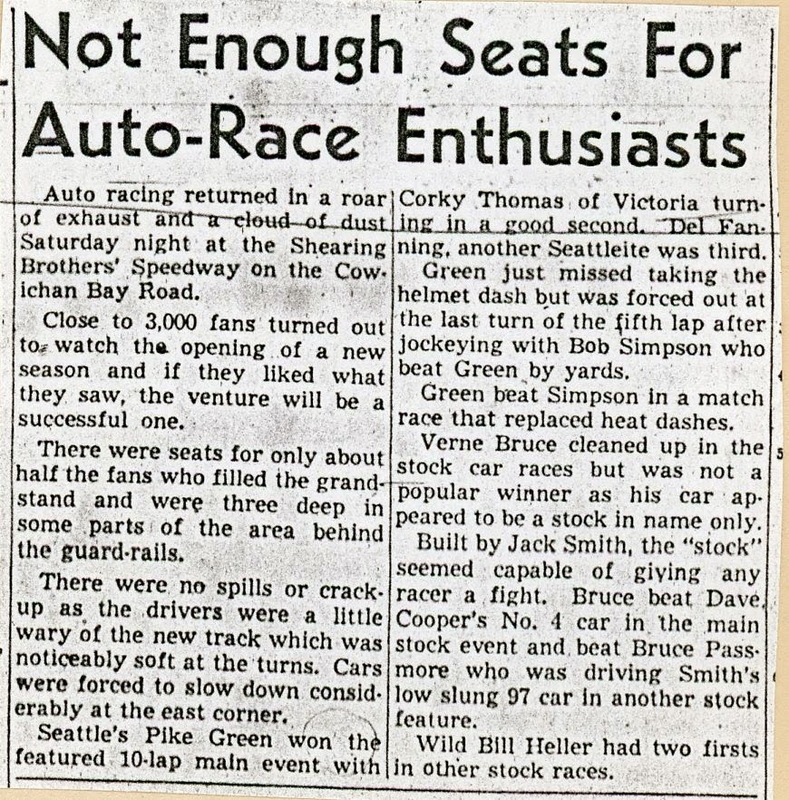 From the Cowichan (Duncan, BC) weekly newspaper back in 1952. 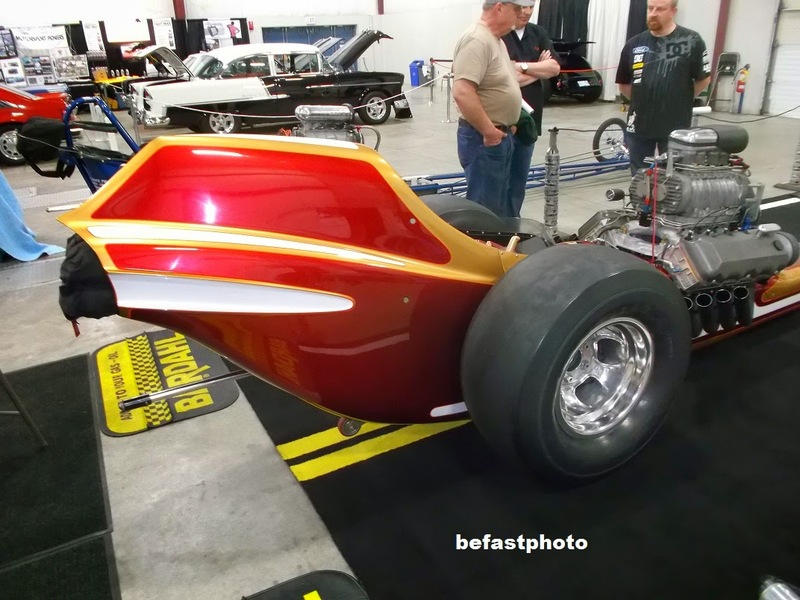 Jerry Ruth returned to the Tradex with his nostalgia fueler for the "cacklefest". 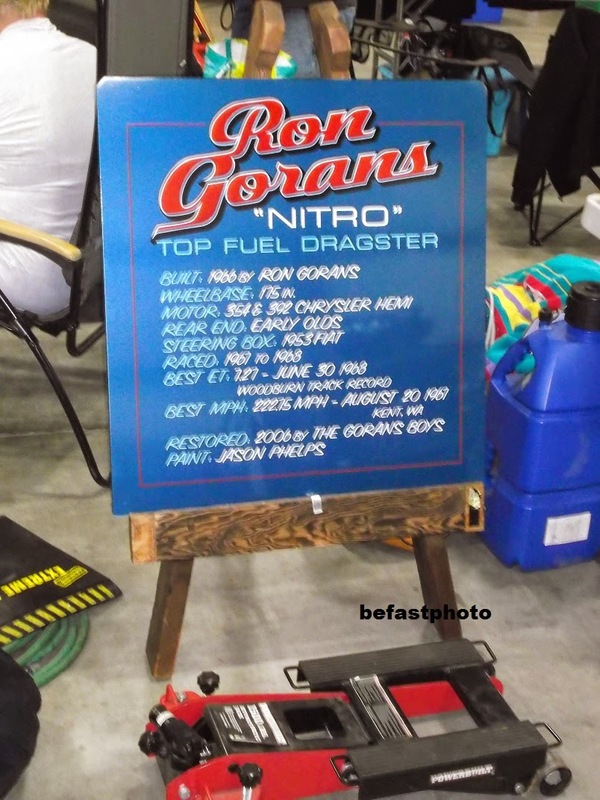 Also there was the Goran's fueler, another northwest racer from back in the 1960s. And, of course, Wayne "The Peregrine" King. Lots of good looking cars. 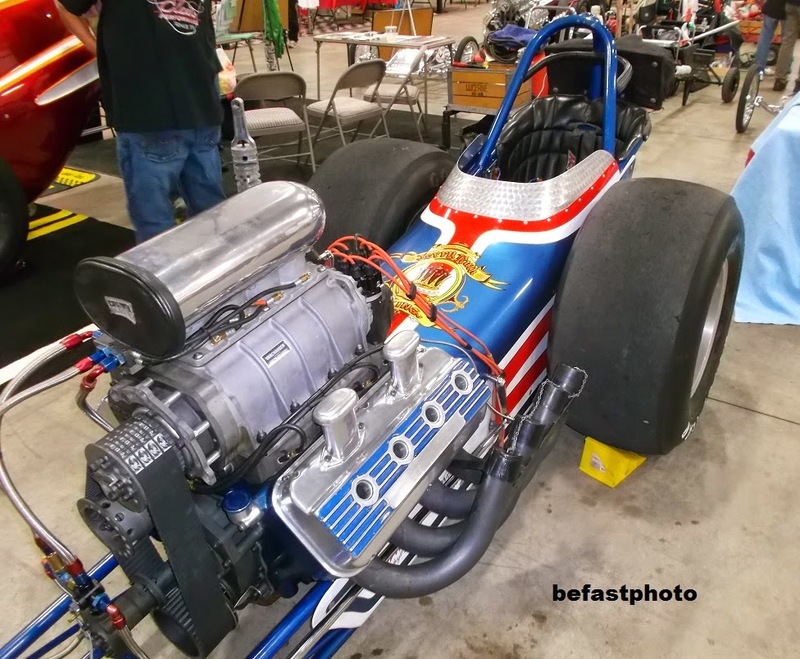 Of course, at this show, I'm most interested in the older drag racing stuff. 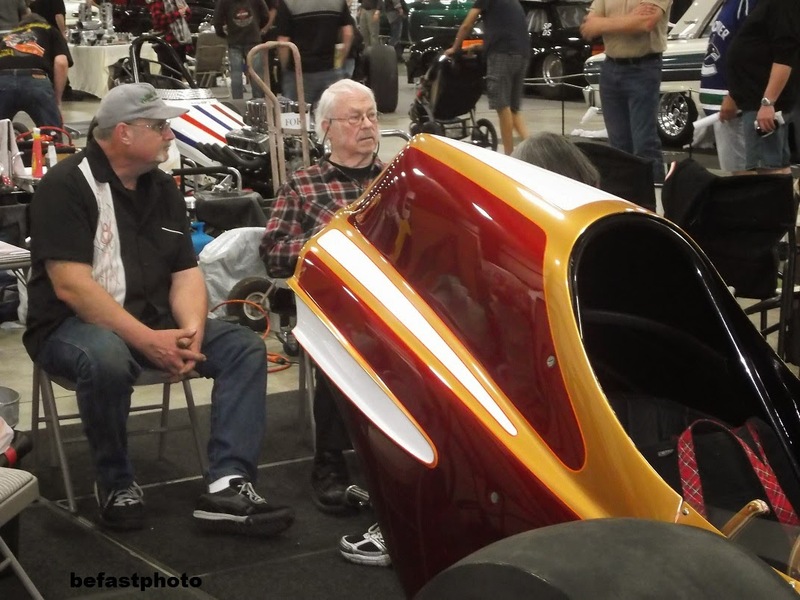 Here's a few quick snaps of Jim Green's (in the checkered shirt) Assassin. Again, getting back into the swing of things. But the Alley Oop race story deserves to be continued. Haven't done one of these in a while. It was Joie Chitwood's birthday a few days back (April 14, 1912 – January 3, 1988. 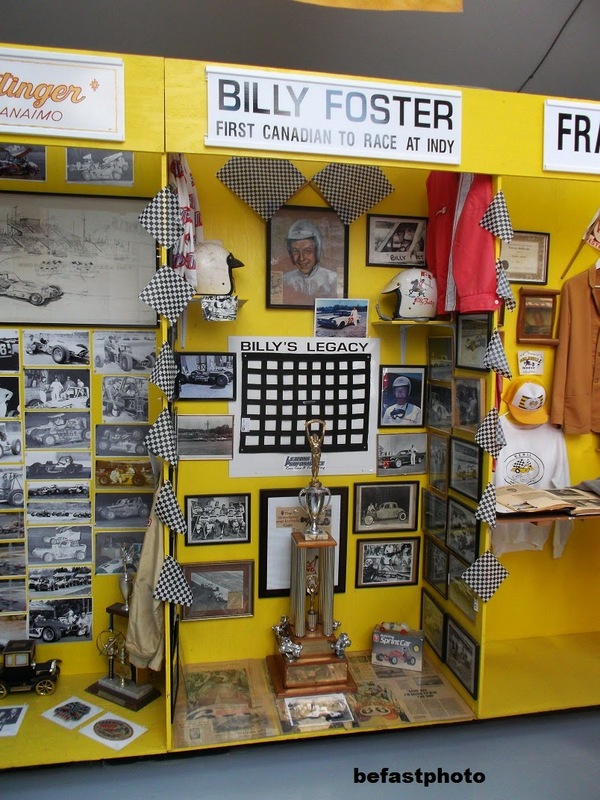 His Thrill Show came up to Burnaby, BC's Digney Speedway annually during the 1950s, usually around Canada (Dominion) Day. 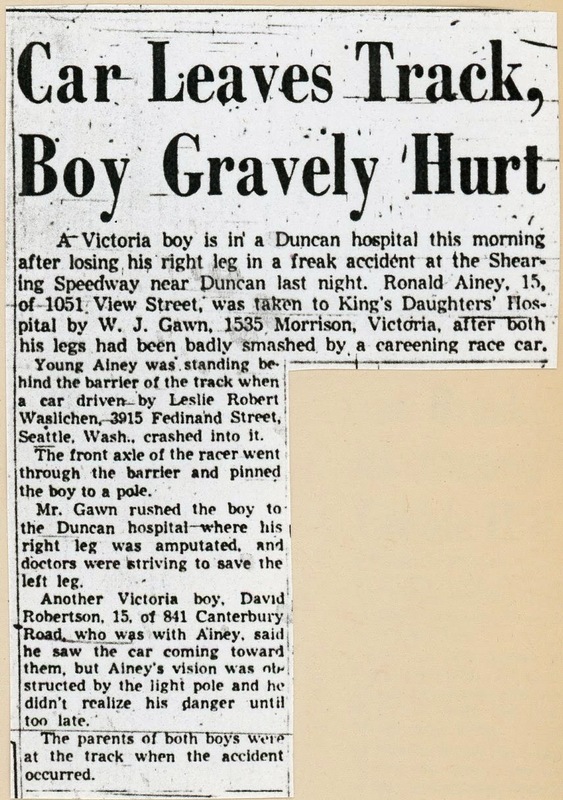 The footage is by A.C. "Andy" Digney. Nice colour, the usual stunts, a full house. 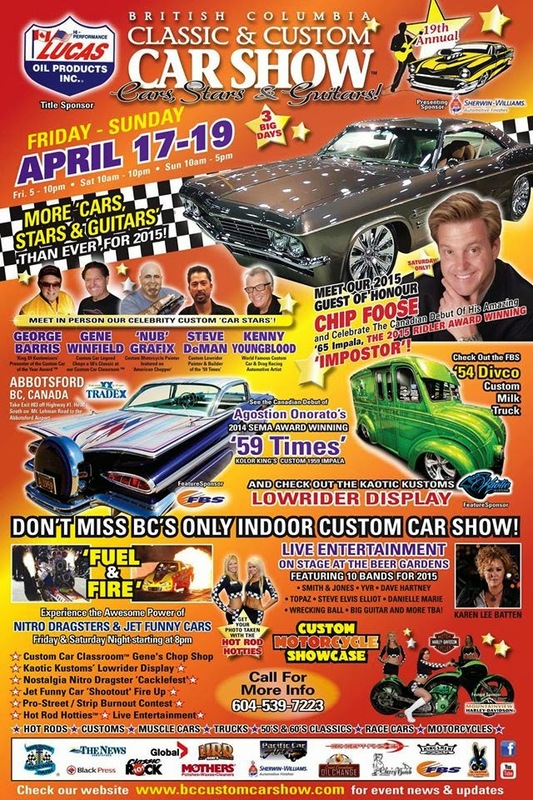 Might see some of you at the Tradex this weekend. Will be at the GVMPS booth. 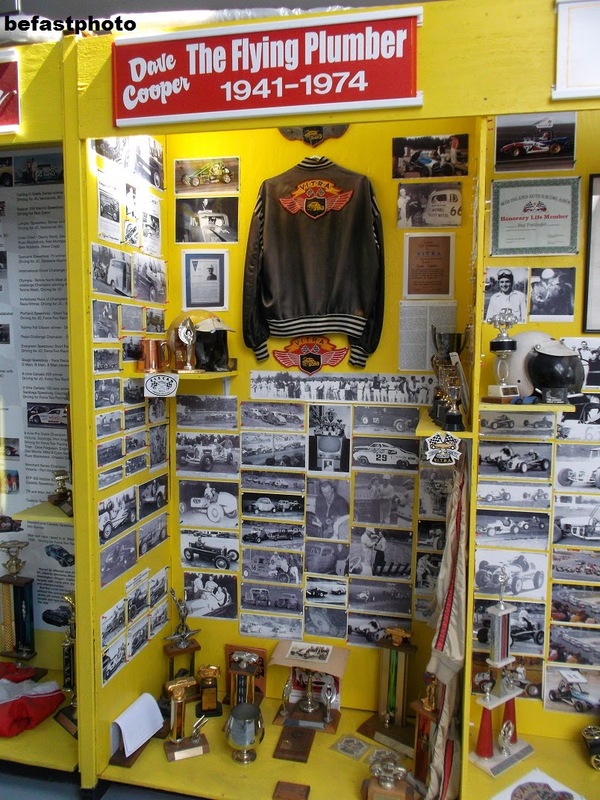 Some more pictures of the displays at the Victoria Auto Racing Hall of Fame Museum at Western Speedway, north of Victoria. 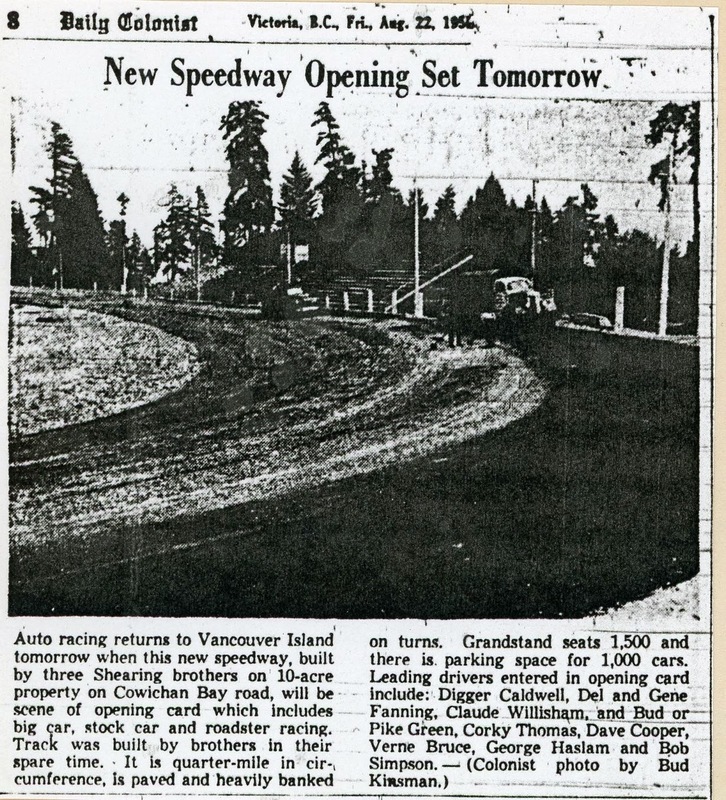 Located behind the grandstands at Western Speedway north of Victoria. First time I've been inside the facility as it stands now. Nice use of the space. 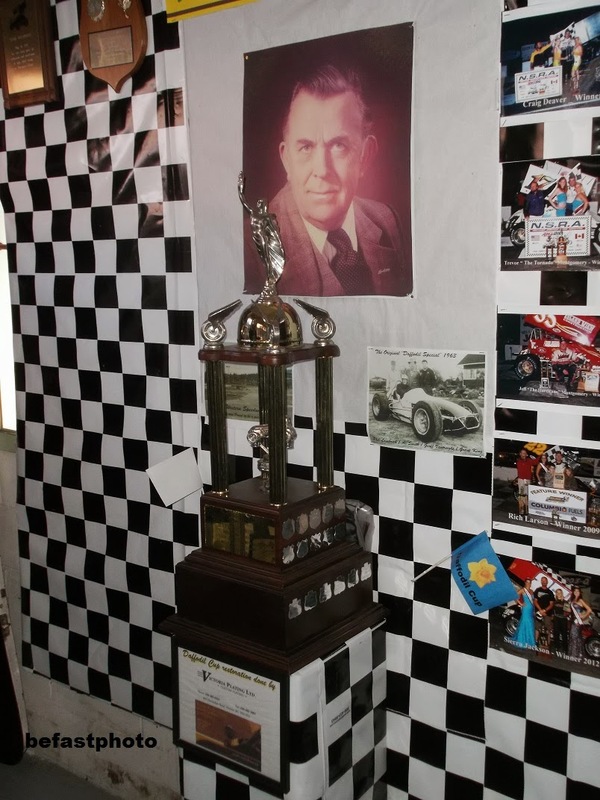 A story on one of this year's inductees to the Victoria Auto Racing Hall of Fame, Walter Ilott. 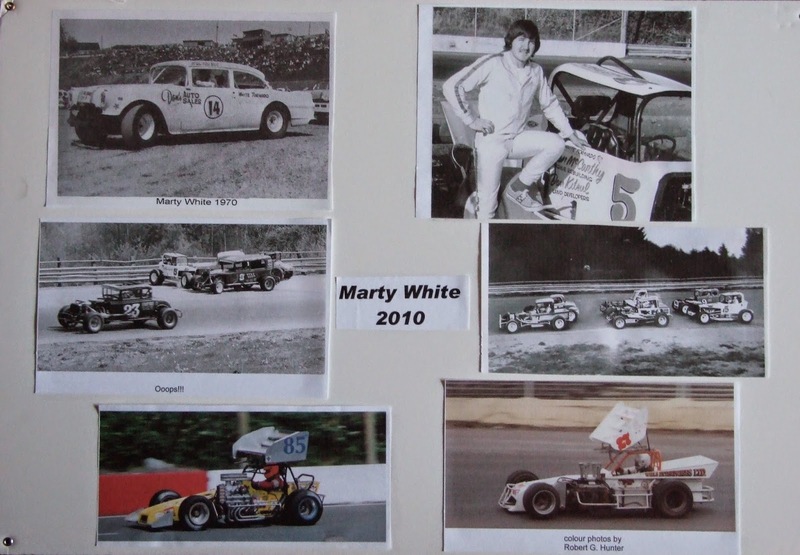 Marty White, who raced and won at Langley Speedway in the 1970s, retiring from racing after 1976, only to move to Kamloops and return to racing winning the CAMRA title in the 1980s, has been inducted into the Kamloops Sports Hall of Fame.